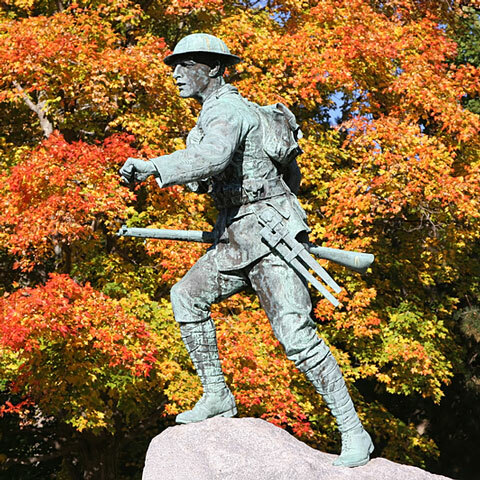 A monument of a soldier from World War I is photographed against a backdrop of fall foliage. The dull gray color of the statue stands in stark contrast to the gold, red, orange, and green trees. A bright, blue sky peeks out from behind the trees.